It’s back-to-school time and homework is in the news. Mrs. 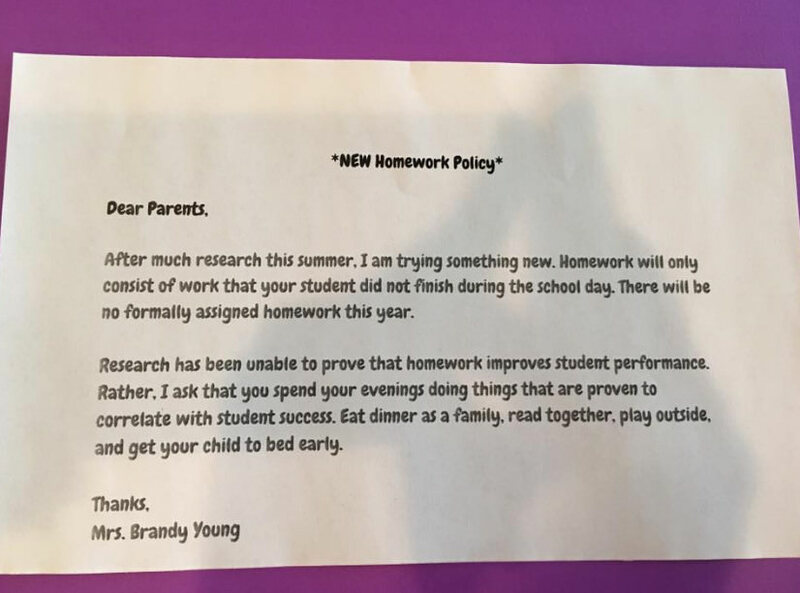 Brandy Young, a brilliant second-grade teacher in Godley, Texas sent a note home to parents explaining that her students would have no “formally assigned” homework this year. The note went viral and people began sounding off on both sides of the issue. Sometime between my being a child and my being a parent, a shift occurred in the homework world. In my early elementary days, kindergarten through third grade, we were never assigned homework. From my point of view, homework was something that happened to big kids (fourth graders) and it was definitely something I could wait for. By the time my kids were in school, homework started in the first grade – which I thought happened because little kids wanted to feel more like “big kids” so they got “homework.” First grade homework was easy, and usually out of the way by the time I got home (thanks to my wife, JoAnn who has been shepherding our kids to success from day one). Ultimately, getting our kids to do their homework was not easy. We outlawed TV. We made them stay in their rooms. We taught them to use their planners. We checked their planners. We spoke with their teachers. We tried it all. Homework, and getting it done, was as much our work as it was theirs! And even with all that oversight, we still got notes about missing assignments! Today, with all of that way behind us… well, almost behind us… our kids are “doing their homework.” They are employed adults who know how to get their jobs done, and understand that the work isn’t over ‘til the assignment is complete. They manage their own time, and appear to do it well. Is their adult responsibility a result of the fact that they were given homework in first grade? I really don’t think so. 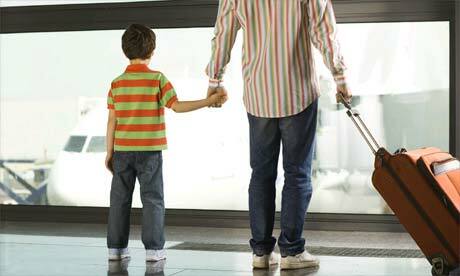 I have always contended that children grow up to be just like their parents. If you’re a hard worker, and you do your “homework” – whatever it might be – then your children will grow up to do same. Homework, is about responsibility, and the best way to teach responsibility is to set a good example. I agree with Brandy Young, second grade is too early to put our children on the perceived treadmill to success. Homework time can be better spent with younger children doing things as a family – eating dinner, playing outside, and getting a good night’s sleep. Perhaps, by starting homework when kids are a little older we might avoid some of the acrimony that often comes from chasing down assignments and correcting, sometimes criticizing, our children’s work. According to 2004 information from the Organization of Economic Cooperation and Development, Japanese and Finnish students outperform U.S. students on tests even though they are assigned less homework. It’s important that our children learn to meet deadlines. It’s important that they recognize the value of being prepared and “doing the work.” Children under the age of eleven or twelve have a lot to learn from playing in the backyard or watching a meal be prepared – especially if they get to spend that time with someone who is teaching them to enjoy these things. Ultimately, time spent shared with family is far more valuable than a few simple math problems. This entry was posted in General, Uncategorized and tagged advice, common sense, confident parenting, elementary school, family, family dinner, fatherly advice, fathers, gratitude, happiness, homework, love, loving family, raising children, responsibility, set an example, simple musts, simplification, teaching, toddlers. Bookmark the permalink.